Metrology is the science of measurement. It establishes a common understanding of units, crucial in linking human activities. Modern metrology has its roots in the French Revolution's political motivation to standardise units in France, when a length standard taken from a natural source was proposed. This led to the creation of the decimal-based metric system in 1795, establishing a set of standards for other types of measurements. Several other countries adopted the metric system between 1795 and 1875; to ensure conformity between the countries, the Bureau International des Poids et Mesures (BIPM) was established by the Metre Convention. This has evolved into the International System of Units (SI) as a result of a resolution at the 11th Conference Generale des Poids et Mesures (CGPM) in 1960. In each country, a national measurement system (NMS) exists as a network of laboratories, calibration facilities and accreditation bodies which implement and maintain its metrology infrastructure. The NMS affects how measurements are made in a country and their recognition by the international community, which has a wide-ranging impact in its society (including economics, energy, environment, health, manufacturing, industry and consumer confidence). The effects of metrology on trade and economy are some of the easiest-observed societal impacts. To facilitate fair trade, there must be an agreed-upon system of measurement. The ability to measure alone is insufficient; standardisation is crucial for measurements to be meaningful. The first record of a permanent standard was in 2900 BC, when the royal Egyptian cubit was carved from black granite. The cubit was decreed to be the length of the Pharaoh's forearm plus the width of his hand, and replica standards were given to builders. The success of a standardised length for the building of the pyramids is indicated by the lengths of their bases differing by no more than 0.05 percent. Other civilizations produced generally accepted measurement standards, with Roman and Greek architecture based on distinct systems of measurement. The collapse of the empires and the Dark Ages which followed them lost much measurement knowledge and standardisation. Although local systems of measurement were common, comparability was difficult since many local systems were incompatible. England established the Assize of Measures to create standards for length measurements in 1196, and the 1215 Magna Carta included a section for the measurement of wine and beer. Modern metrology has its roots in the French Revolution. With a political motivation to harmonise units throughout France, a length standard based on a natural source was proposed. In March 1791, the metre was defined. This led to the creation of the decimal-based metric system in 1795, establishing standards for other types of measurements. Several other countries adopted the metric system between 1795 and 1875; to ensure international conformity, the International Bureau of Weights and Measures (French: Bureau International des Poids et Mesures, or BIPM) was established by the Metre Convention. 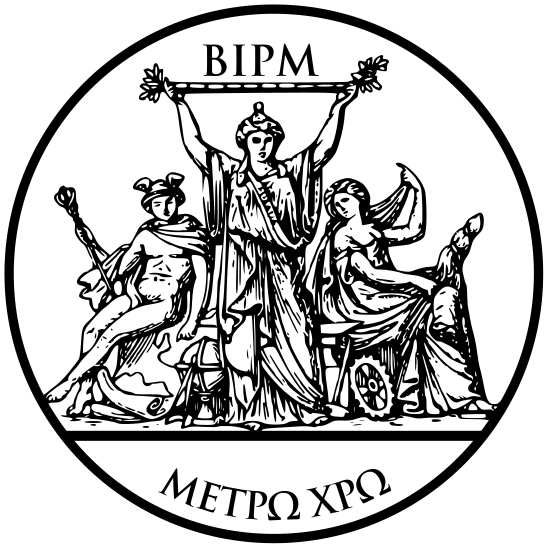 Although the BIPM's original mission was to create international standards for units of measurement and relate them to national standards to ensure conformity, its scope has broadened to include electrical and photometric units and ionizing radiation measurement standards. The metric system was modernised in 1960 with the creation of the International System of Units (SI) as a result of a resolution at the 11th General Conference on Weights and Measures (French: Conference Generale des Poids et Mesures, or CGPM). Metrology is defined by the International Bureau of Weights and Measures (BIPM) as "the science of measurement, embracing both experimental and theoretical determinations at any level of uncertainty in any field of science and technology". It establishes a common understanding of units, crucial to human activity. Metrology is a wide reaching field, but can be summarized through three basic activities: the definition of internationally accepted units of measurement, the realisation of these units of measurement in practice, and the application of chains of traceability (linking measurements to reference standards). These concepts apply in different degrees to metrology's three main fields: scientific metrology; applied, technical or industrial metrology, and legal metrology. Scientific metrology is concerned with the establishment of units of measurement, the development of new measurement methods, the realisation of measurement standards, and the transfer of traceability from these standards to users in a society. This type of metrology is considered the top level of metrology which strives for the highest degree of accuracy. BIPM maintains a database of the metrological calibration and measurement capabilities of institutes around the world. These institutes, whose activities are peer-reviewed, provide the fundamental reference points for metrological traceability. In the area of measurement, BIPM has identified nine metrology areas, which are acoustics, electricity and magnetism, length, mass and related quantities, photometry and radiometry, ionizing radiation, time and frequency, thermometry, and chemistry. There is a proposed redefinition of the SI base units that was formally voted on in November 2018, and will come into effect in May 2019. The motivation in the change of the base units is to make the entire system derivable from physical constants, which requires the removal of the prototype kilogram as it is the last artefact the unit definitions depend on. Scientific metrology plays an important role in this redefinition of the units as precise measurements of the physical constants is required to have accurate definitions of the base units. To redefine the value of a kilogram without an artefact the value of the Planck constant must be known to twenty parts per billion. Scientific metrology, through the development of the Kibble balance and the Avogadro project, has produced a value of Planck constant with low enough uncertainty to allow for a redefinition of the kilogram. Applied, technical or industrial metrology is concerned with the application of measurement to manufacturing and other processes and their use in society, ensuring the suitability of measurement instruments, their calibration and quality control. Producing good measurements is important in industry as it has an impact on the value and quality of the end product, and a 10-15% impact on production costs. Although the emphasis in this area of metrology is on the measurements themselves, traceability of the measuring-device calibration is necessary to ensure confidence in the measurement. Recognition of the metrological competence in industry can be achieved through mutual recognition agreements, accreditation, or peer review. Industrial metrology is important to a country's economic and industrial development, and the condition of a country's industrial-metrology program can indicate its economic status. Legal metrology "concerns activities which result from statutory requirements and concern measurement, units of measurement, measuring instruments and methods of measurement and which are performed by competent bodies". Such statutory requirements may arise from the need for protection of health, public safety, the environment, enabling taxation, protection of consumers and fair trade. The International Organization for Legal Metrology (OIML) was established to assist in harmonising regulations across national boundaries to ensure that legal requirements do not inhibit trade. This harmonisation ensures that certification of measuring devices in one country is compatible with another countries certification process, allowing the trade of the measuring devices and the products that rely on them. WELMEC was established in 1990 to promote cooperation in the field of legal metrology in the European Union and among European Free Trade Association (EFTA) member states. In the United States legal metrology is under the authority of the Office of Weights and Measures of National Institute of Standards and Technology (NIST), enforced by the individual states. The International System of Units (SI) defines seven base units: length, mass, time, electric current, thermodynamic temperature, amount of substance, and luminous intensity. By convention, each of these units are considered to be mutually independent of each other; however, in reality they are interdependent given some definitions contain other base SI Units. All other SI units are derived from the seven base units. Since the base units are the reference points for all measurements taken in SI units, if the reference value changed all prior measurements would be incorrect. If a piece of the international prototype kilogram snapped off, it would still be defined as a kilogram; all previous measured values of a kilogram would be heavier. The importance of reproducible SI units has led the BIPM to begin defining base SI units in terms of physical constants. By defining base SI units with respect to physical constants, they are realisable with a higher level of precision and reproducibility. With the redefinition of the SI units occurring on May 20th, 2019 the kilogram, ampere, kelvin, and mole will then be defined by setting exact numerical values for the Planck constant (h), the elementary electric charge (e), the Boltzmann constant (k), and the Avogadro constant (NA), respectively. The metre and candela are already defined by physical constants, subject to correction to their present definitions. The new definitions aim to improve the SI without changing the size of any units, thus ensuring continuity with existing measurements. The realisation of a unit of measure is its conversion into reality. Three possible methods of realisation are defined by the international vocabulary of metrology (VIM): a physical realisation of the unit from its definition, a highly-reproducible measurement as a reproduction of the definition (such as the quantum Hall effect for the ohm), and the use of a material object as the measurement standard. A standard (or etalon) is an object, system, or experiment with a defined relationship to a unit of measurement of a physical quantity. Standards are the fundamental reference for a system of weights and measures by realising, preserving, or reproducing a unit against which measuring devices can be compared. There are three levels of standards in the hierarchy of metrology: primary, secondary, and working standards. Primary standards (the highest quality) do not reference any other standards. Secondary standards are calibrated with reference to a primary standard. Working standards, used to calibrate (or check) measuring instruments or other material measures, are calibrated with respect to secondary standards. The hierarchy preserves the quality of the higher standards. An example of a standard would be gauge blocks for length. A gauge block is a block of metal or ceramic with two opposing faces ground precisely flat and parallel, a precise distance apart. The length of the path of light in vacuum during a time interval of 1/299,792,458 of a second is embodied in an artefact standard such as a gauge block; this gauge block is then a primary standard which can be used to calibrate secondary standards through mechanical comparators. Metrological traceability is defined as the "property of a measurement result whereby the result can be related to a reference through a documented unbroken chain of calibrations, each contributing to the measurement uncertainty". It permits the comparison of measurements, whether the result is compared to the previous result in the same laboratory, a measurement result a year ago, or to the result of a measurement performed anywhere else in the world. The chain of traceability allows any measurement to be referenced to higher levels of measurements back to the original definition of the unit. Traceability is most often obtained by calibration, establishing the relationship between an indication on a measuring instrument (or secondary standard) and the value of the standard. A calibration is an operation that establishes a relation between a measurement standard with a known measurement uncertainty and the device that is being evaluated. The process will determine the measurement value and uncertainty of the device that is being calibrated and create a traceability link to the measurement standard. The four primary reasons for calibrations are to provide traceability, to ensure that the instrument (or standard) is consistent with other measurements, to determine accuracy, and to establish reliability. Traceability works as a pyramid, at the top level there is the international standards, at the next level national metrology institutes calibrate the primary standards through realisation of the units creating the traceability link from the primary standard and the unit definition. Through subsequent calibrations between national metrology institutes, calibration laboratories, and industry and testing laboratories the realisation of the unit definition is propagated down through the pyramid. The traceability chain works upwards from the bottom of the pyramid, where measurements done by industry and testing laboratories can be directly related to the unit definition at the top through the traceability chain created by calibration. Where y is the measurement value and U is the uncertainty value and k is the coverage factor[a] indicates the confidence interval. The upper and lower limit of the uncertainty interval can be determined by adding and subtracting the uncertainty value from the measurement value. The coverage factor of k = 2 generally indicates a 95% confidence that the measured value will fall inside the uncertainty interval. Other values of k can be used to indicate a greater or lower confidence on the interval, for example k = 1 and k = 3 generally indicate 66% and 99.7% confidence respectively. The uncertainty value is determined through a combination of statistical analysis of the calibration and uncertainty contribution from other errors in measurement process, which can be evaluated from sources such as the instrument history, manufacturer's specifications, or published information. Several international organizations maintain and standardise metrology. The Metre Convention created three main international organizations to facilitate standardisation of weights and measures. The first, the General Conference on Weights and Measures (CGPM), provided a forum for representatives of member states. The second, the International Committee for Weights and Measures (CIPM), was an advisory committee of metrologists of high standing. The third, the International Bureau of Weights and Measures (BIPM), provided secretarial and laboratory facilities for the CGPM and CIPM. The General Conference on Weights and Measures (French: Conférence générale des poids et mesures, or CGPM) is the convention's principal decision-making body, consisting of delegates from member states and non-voting observers from associate states. The conference usually meets every four to six years to receive and discuss a CIPM report and endorse new developments in the SI as advised by the CIPM. The last meeting was held November 13-16, 2018. On the last day of this conference there was vote on the redefinition of four base units, which the International Committee for Weights and Measures (CIPM) had proposed earlier that year. The new definitions will come into force on 20 May 2019. The International Committee for Weights and Measures (French: Comité international des poids et mesures, or CIPM) is made up of eighteen (originally fourteen) individuals from a member state of high scientific standing, nominated by the CGPM to advise the CGPM on administrative and technical matters. It is responsible for ten consultative committees (CCs), each of which investigates a different aspect of metrology; one CC discusses the measurement of temperature, another the measurement of mass, and so forth. The CIPM meets annually in Sèvres to discuss reports from the CCs, to submit an annual report to the governments of member states concerning the administration and finances of the BIPM and to advise the CGPM on technical matters as needed. Each member of the CIPM is from a different member state, with France (in recognition of its role in establishing the convention) always having one seat. The International Bureau of Weights and Measures (French: Bureau international des poids et mesures, or BIPM) is an organisation based in Sèvres, France which has custody of the international prototype kilogram, provides metrology services for the CGPM and CIPM, houses the secretariat for the organisations and hosts their meetings. Over the years, international prototype metres and kilograms have been returned to BIPM headquarters for recalibration. The BIPM director is an ex officio member of the CIPM and a member of all consultative committees. Although the OIML has no legal authority to impose its recommendations and guidelines on its member countries, it provides a standardised legal framework for those countries to assist the development of appropriate, harmonised legislation for certification and calibration. OIML provides a mutual acceptance arrangement (MAA) for measuring instruments that are subject to legal metrological control, which upon approval allows the evaluation and test reports of the instrument to be accepted in all participating countries. Issuing participants in the agreement issue MAA Type Evaulation Reports of MAA Certificates upon demonstration of compliance with ISO/IEC 17065 and a peer evaluation system to determine competency. This ensures that certification of measuring devices in one country is compatible with the certification process in other participating countries, allowing the trade of the measuring devices and the products that rely on them. The International Laboratory Accreditation Cooperation (ILAC) is an international organisation for accreditators involved in the certification of conformity-assessment bodies. It standardises accreditation practices and procedures, recognising competent calibration facilities and assisting countries developing their own accreditation bodies. ILAC originally began as a conference in 1977 to develop international cooperation for accredited testing and calibration results to facilitate trade. In 2000, 36 members signed the ILAC mutual recognition agreement (MRA), allowing members work to be automatically accepted by other signatories, and in 2012 was expanded to include accrediation of inspection bodies. Through this standardisation, work done in laboratories accredited by signatories is automatically recognised internationally through the MRA. Other work done by ILAC includes promotion of laboratory and inspection body accreditation, and supporting the development of accreditation systems in developing economies. The JCGM has two working groups: JCGM-WG1 and JCGM-WG2. JCGM-WG1 is responsible for the GUM, and JCGM-WG2 for the VIM. Each member organization appoints one representative and up to two experts to attend each meeting, and may appoint up to three experts for each working group. A national measurement system (NMS) is a network of laboratories, calibration facilities and accreditation bodies which implement and maintain a country's measurement infrastructure. The NMS sets measurement standards, ensuring the accuracy, consistency, comparability, and reliability of measurements made in the country. The measurements of member countries of the CIPM Mutual Recognition Arrangement (CIPM MRA), an agreement of national metrology institutes, are recognized by other member countries. As of March 2018, there are 102 signatories of the CIPM MRA, consisting of 58 member states, 40 associate states, and 4 international organizations. A national metrology institute's (NMI) role in a country's measurement system is to conduct scientific metrology, realise base units, and maintain primary national standards. An NMI provides traceability to international standards for a country, anchoring its national calibration hierarchy. For a national measurement system to be recognized internationally by the CIPM Mutual Recognition Arrangement, an NMI must participate in international comparisons of its measurement capabilities. BIPM maintains a comparison database and a list of calibration and measurement capabilities (CMCs) of the countries participating in the CIPM MRA. Not all countries have a centralised metrology institute; some have a lead NMI and several decentralised institutes specialising in specific national standards. Some examples of NMI's are the National Institute of Standards and Technology (NIST) in the United States, the National Research Council (NRC) in Canada, the Korea Research Institute of Standards and Science (KRISS), and the National Physical Laboratory of India (NPL-India). Calibration laboratories are generally responsible for calibrations of industrial instrumentation. Calibration laboratories are accredited and provide calibration services to industry firms, which provides a traceability link back to the national metrology institute. Since the calibration laboratories are accredited, they give companies a traceability link to national metrology standards. Examples of calibration laboratories would be ICL Calibration Laboratories, Testo Industrial Services GmbH, and Transcat. An organisation is accredited when an authoritative body determines, by assessing the organisation's personnel and management systems, that it is competent to provide its services. For international recognition, a country's accreditation body must comply with international requirements and is generally the product of international and regional cooperation. A laboratory is evaluated according to international standards such as ISO/IEC 17025 general requirements for the competence of testing and calibration laboratories. To ensure objective and technically-credible accreditation, the bodies are independent of other national measurement system institutions. The National Association of Testing Authorities in Australia, the United Kingdom Accreditation Service, and National Accreditation Board for Testing and Calibration Laboratories in India, are examples of accreditation bodies. Metrology has wide-ranging impacts on a number of sectors, including economics, energy, the environment, health, manufacturing, industry, and consumer confidence. The effects of metrology on trade and the economy are two of its most-apparent societal impacts. To facilitate fair and accurate trade between countries, there must be an agreed-upon system of measurement. Accurate measurement and regulation of water, fuel, food, and electricity are critical for consumer protection and promote the flow of goods and services between trading partners. A common measurement system and quality standards benefit consumer and producer; production at a common standard reduces cost and consumer risk, ensuring that the product meets consumer needs. Transaction costs are reduced through an increased economy of scale. Several studies have indicated that increased standardization in measurement has a positive impact on GDP. In the United Kingdom, an estimated 28.4 percent of GDP growth from 1921 to 2013 was the result of standardisation; in Canada between 1981 and 2004 an estimated nine percent of GDP growth was standardisation-related, and in Germany the annual economic benefit of standardization is an estimated 0.72% of GDP. Legal metrology has reduced accidental deaths and injuries with measuring devices, such as radar guns and breathalyzers, by improving their efficiency and reliability. Measuring the human body is challenging, with poor repeatability and reproducibility, and advances in metrology help develop new techniques to improve health care and reduce costs. Environmental policy is based on research data, and accurate measurements are important for assessing climate change and environmental regulation. Aside from regulation, metrology is essential in supporting innovation, the ability to measure provides a technical infrastructure and tools that can then be used to pursue further innovation. By providing a technical platform which new ideas can be built upon, easily demonstrated, and shared, measurement standards allow new ideas to be explored and expanded upon. ^ "What is metrology? Celebration of the signing of the Metre Convention, World Metrology Day 2004". BIPM. 2004. Archived from the original on 2011-09-27. Retrieved 2018-02-21. ^ a b c d e f g h i j k l m n o p q r Collège français de métrologie [French College of Metrology] (2006). Placko, Dominique (ed.). Metrology in Industry – The Key for Quality (PDF). ISTE. ISBN 978-1-905209-51-4. Archived (PDF) from the original on 2012-10-23. ^ a b c d e f Goldsmith, Mike. "A Beginner's Guide to Measurement" (PDF). National Physical Laboratory. Archived (PDF) from the original on 29 March 2017. Retrieved 16 February 2017. ^ a b c d "History of measurement – from metre to International System of Units (SI)". La metrologie francaise. Archived from the original on 25 April 2011. Retrieved 28 February 2017. ^ a b "Resolution 12 of the 11th CGPM (1960)". Bureau International des Poids et Mesures. Archived from the original on 14 April 2013. Retrieved 28 February 2017. ^ a b c d e f Czichos, Horst; Smith, Leslie, eds. (2011). Springer Handbook of Metrology and Testing (2nd ed.). 1.2.2 Categories of Metrology. ISBN 978-3-642-16640-2. Archived from the original on 2013-07-01. ^ Collège français de métrologie [French College of Metrology] (2006). Placko, Dominique (ed.). Metrology in Industry – The Key for Quality (PDF). ISTE. 2.4.1 Scope of legal metrology. ISBN 978-1-905209-51-4. Archived (PDF) from the original on 2012-10-23. ... any application of metrology may fall under the scope of legal metrology if regulations are applicable to all measuring methods and instruments, and in particular if quality control is supervised by the state. ^ a b "National Measurement System". National Physical Laboratory. Archived from the original on 15 February 2017. Retrieved 5 March 2017. ^ a b c d e f g "The National Quality Infrastructure" (PDF). The Innovation Policy Platform. Archived (PDF) from the original on 6 March 2017. Retrieved 5 March 2017. ^ a b "Metrology for Society's Challenges". EURAMET. Archived from the original on 12 March 2017. Retrieved 9 March 2017. ^ a b c d e f g Robertson, Kristel; Swanepoel, Jan A. (September 2015). The economics of metrology (PDF). Australian Government, Department of Industry, Innovation and Science. Archived (PDF) from the original on 7 March 2016. Retrieved 9 March 2017. ^ a b c d e f "History of Metrology". Measurement Science Conference. Archived from the original on 1 March 2017. Retrieved 28 February 2017. ^ "History of Length Measurement". National Physical Laboratory. Archived from the original on 1 March 2017. Retrieved 28 February 2017. ^ "What is metrology?". BIPM. Archived from the original on 24 March 2017. Retrieved 23 February 2017. ^ "The BIPM key comparison database". BIPM. Archived from the original on 2013-09-28. Retrieved 26 Sep 2013. ^ a b "New measurement will help redefine international unit of mass: Ahead of July 1 deadline, team makes its most precise measurement yet of Planck's constant". ScienceDaily. ScienceDaily. Retrieved 23 March 2018. ^ Crease, Robert P. (22 March 2011). "Metrology in the balance". Physics World. Institute of Physics. Retrieved 23 March 2018. ^ a b c de Silva, G. M. S (2012). Basic Metrology for ISO 9000 Certification (Online-Ausg. ed.). Oxford: Routledge. pp. 12–13. ISBN 1-136-42720-1. Archived from the original on 27 February 2018. Retrieved 17 February 2017. ^ International Vocabulary of Terms in Legal Metrology (PDF). Paris: OIML. 2000. p. 7. Archived from the original (PDF) on September 28, 2007. ^ a b Sharp, DeWayne (2014). Measurement, instrumentation, and sensors handbook (Second edition. ed.). Boca Raton: CRC Press, Inc. ISBN 978-1-4398-4888-3. ^ WELMEC Secretariat. "WELMEC An introduction" (PDF). WELMEC. Archived (PDF) from the original on 28 February 2017. Retrieved 28 February 2017. ^ "SI base units". The NIST Reference on Constants, Units, and Uncertainty. National Institute of Standards and Technology. Archived from the original on 19 January 2017. Retrieved 15 February 2017. ^ a b "On the future revision of the SI". Bureau International des Poids et Mesures. Archived from the original on 15 February 2017. Retrieved 16 February 2017. ^ Kühne, Michael (22 March 2012). "Redefinition of the SI". Keynote address, ITS9 (Ninth International Temperature Symposium). Los Angeles: NIST. Archived from the original on 18 June 2013. Retrieved 1 March 2012. ^ "Draft of the ninth SI Brochure" (PDF). BIPM. 5 February 2018. Retrieved 12 November 2018. ^ International vocabulary of metrology—Basic and general concepts and associated terms (VIM) (PDF) (3rd ed.). International Bureau of Weights and Measures on behalf of the Joint Committee for Guides in Metrology. 2012. p. 46. Archived (PDF) from the original on 17 March 2017. Retrieved 1 March 2017. ^ Doiron, Ted; Beers, John. "The Gauge Block Handbook" (PDF). NIST. Retrieved 23 March 2018. ^ "e-Handbook of Statistical Methods". NIST/SEMATECH. Retrieved 23 March 2018. ^ a b c International vocabulary of metrology — basic and general concepts and associated terms (PDF) (3 ed.). Joint Committee on Guides for Metrology (JCGM). 2008. Archived (PDF) from the original on 2011-01-10. ^ a b c "Metrological Traceability for Meteorology" (PDF). World Meteorological Organization Commission for Instruments and Methods of Observation. Archived (PDF) from the original on 17 March 2017. Retrieved 2 March 2017. ^ Guide to the Evaluation of Measurement Uncertainty for Quantitative Test Results (PDF). Paris, France: EUROLAB. August 2006. p. 8. Archived (PDF) from the original on 23 November 2016. Retrieved 2 March 2017. ^ a b c Bell, Stephanie (March 2001). A Beginner's Guide to Uncertainty of Measurement (PDF) (Issue 2 ed.). Teddington, Middlesex, United Kingdom: National Physical Laboratory. ISSN 1368-6550. Archived (PDF) from the original on 3 May 2017. Retrieved 2 March 2017. ^ "The Metre Convention". Bureau International des Poids et Mesures. Archived from the original on 26 September 2012. Retrieved 1 October 2012. ^ "General Conference on Weights and Measures". Bureau International des Poids et Mesures. 2011. Archived from the original on 26 September 2012. Retrieved 26 September 2012. ^ "CIPM: International Committee for Weights and Measures". Bureau International des Poids et Mesures. 2011. Archived from the original on 24 September 2012. Retrieved 26 September 2012. ^ "Criteria for membership of the CIPM". Bureau International des Poids et Mesures. 2011. Archived from the original on 27 May 2012. Retrieved 26 September 2012. ^ "Mission, Role and Objectives" (PDF). BIPM. Retrieved 26 March 2018. ^ a b "International Prototype of the Kilogram". BIPM. Retrieved 26 March 2018. ^ "Criteria for membership of a Consultative Committee". BIPM. Retrieved 26 March 2018. ^ "Convention establishing an International Organisation of Legal Metrology" (PDF). 2000 (E). Paris: Bureau International de Métrologie Légale. Archived (PDF) from the original on 12 July 2014. Retrieved 24 March 2017. ^ a b c "OIML Strategy" (PDF). OIML B 15 (2011 (E) ed.). Paris: Bureau International de Métrologie Légale. Archived (PDF) from the original on 2 December 2016. Retrieved 24 March 2017. ^ a b "MAA certificates". OIML. Retrieved 25 March 2018. ^ a b c "ABOUT ILAC". International Laboratory Accrediation Cooperation. Archived from the original on 15 March 2017. Retrieved 24 March 2017. ^ "The ILAC Mutual Recognition Arrangement" (PDF). International Laboratory Accreditation Cooperation. Archived from the original (PDF) on 25 March 2017. Retrieved 24 March 2017. ^ a b "ILAC's Role International Laboratory Accreditation Cooperation". ILAC. Retrieved 25 March 2018. ^ a b Charter Joint Committee for Guides in Metrology (JCGM) (PDF). Joint Committee for Guides in Metrology. 10 December 2009. Archived (PDF) from the original on 24 October 2015. Retrieved 24 March 2017. 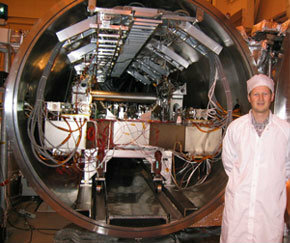 ^ "Joint Committee for Guides in Metrology (JCGM)". Bureau International des Poids et Mesures. Archived from the original on 12 May 2017. Retrieved 24 March 2017. ^ "National Measurement System". National Metrology Center (NMC). 23 August 2013. Archived from the original on 6 March 2017. Retrieved 5 March 2017. ^ "BIPM - signatories". www.bipm.org. Bureau International des Poids et Mesures. Retrieved 24 March 2018. ^ "The BIPM key comparison database". Bureau International des Poids et Mesures. Archived from the original on 29 January 2017. Retrieved 5 March 2017. ^ "International Legal Organizational Primer". NIST. 14 January 2010. Retrieved 25 March 2018. ^ "Measurement science and standards - National Research Council Canada". National Research Council of Canada. Retrieved 25 March 2018. ^ "KRISS" (in Korean). KRISS. Retrieved 25 March 2018. ^ "Profile - National Physical Laboratory". National Physical Laboratory. 17 June 2017. Retrieved 25 March 2018. ^ "About Us". ICL Calibration. Retrieved 25 March 2018. ^ "Testo Industrial Services GmbH – Company". Testo Industrial Services GmbH. Retrieved 25 March 2018. ^ "About Us - Transcat". Transcat. Retrieved 25 March 2018. ^ "NATA - About Us". NATA. Retrieved 25 March 2018. ^ "About UKAS". UKAS. Retrieved 25 March 2018. ^ "Introduction". NABL. 25 November 2016. Retrieved 25 March 2018. ^ a b Rodrigues Filho, Bruno A.; Gonçalves, Rodrigo F. (June 2015). "Legal metrology, the economy and society: A systematic literature review". Measurement. 69: 155–163. doi:10.1016/j.measurement.2015.03.028. ^ "Metrology for Society's Challenges - Metrology for Health". EURAMET. Archived from the original on 12 March 2017. Retrieved 9 March 2017. ^ "Metrology for Society's Challenges - Metrology for Environment". EURAMET. Archived from the original on 12 March 2017. Retrieved 9 March 2017. Presentation about Product Quality planning that includes a typical industry "Dimensional Control Plan"
Alternatively, ISO defines accuracy as describing a combination of both types of observational error above (random and systematic), so high accuracy requires both high precision and high trueness.In simplest terms, given a set of data points from repeated measurements of the same quantity, the set can be said to be precise if the values are close to each other, while the set can be said to be accurate if their average is close to the true value of the quantity being measured. In the first, more common definition above, the two concepts are independent of each other, so a particular set of data can be said to be either accurate, or precise, or both, or neither. The Bundesamt für Eich- und Vermessungswesen or BEV (German for Federal Office of Metrology and Surveying) is the body responsible for official surveying, geo-information and weights and measures (metrology) in Austria. It belongs to the Bundesministerium für Wirtschaft, Familie und Jugend (Federal Ministry of the Economy, Family and Youth). Its headquarters is in Vienna and it has 67 branches spread across all the Austrian federal states. Federal Agency on Technical Regulation and Metrology (Rosstandart) is the Russian government agency that serves as a national standardization body of the Russian Federation. Previously it was named Gosstandart of Russia. In 2004, Gosstandart of Russia was folded into the Russian Federation Ministry of Industry and Energy and became known as the Federal Agency for Technical Regulation and Metrology, or Rostekhregulirovaniye (Ростехрегулирование). From June 2010 the short name became Rosstandart (Росстандарт). The new name reflects a new role the agency is supposed to play in the Russian government's effort to reduce barriers to trade and get the Russian economy more closely aligned with the global marketplace. Rosstandart recently worked with representatives from the public and private sectors to develop a national standards strategy for the Russian Federation. This document establishes a framework for moving towards the system that is based on voluntary consensus standards. Since the voluntary standards system in Russia is only beginning to emerge, Rosstandart continues its sponsorship and funding of the development of GOST R standards, the national standards of the Russian Federation. Among other responsibilities of the agency are representing the Russian Federation to international and regional standards organizations (such as the ISO, IEC, and EASC) and administering the GOST R certification program for products. Hexagon AB is a global technology group headquartered in Sweden. The operation is focused on precision measuring technologies and is divided into three business areas: Geospatial Measuring (Surveying and GPS), Industrial Metrology (Hexagon Metrology) and Technologies. The company markets its products and services under more than 35 different brands worldwide. The Group employs about 18,000 people in 50 countries. Hexagon's operations encompass hand tools, fixed and portable coordinate measuring machines, GPS systems, construction machine control systems, level meters, laser meters, total stations, sensors for airborne measurement, aftermarket services and software systems, such as PC-DMIS. Hexagon’s macro products are used within construction and engineering industries, while micro products are used primarily by automotive and aerospace industries, medical industries and design industry. Hexagon's other operations focus on supplying components primarily to the heavy automotive industry as well as key components for industrial robots. Hexagon held its first annual conference Hexagon 2011 which combined Intergraph®, ERDAS, Leica Geosystems and Hexagon Metrology groups. The International Committee for Weights and Measures (French: Comité international des poids et mesures (CIPM)) consists of eighteen persons, each of a different nationality, from Member States of the Metre Convention appointed by the General Conference on Weights and Measures (CGPM) whose principal task is to promote worldwide uniformity in units of measurement by taking direct action or by submitting proposals to the CGPM. The CIPM meets every year (since 2011 in two sessions per year) at the International Bureau of Weights and Measures (BIPM) where, among other matters, it discusses reports presented to it by its Consultative Committees. Reports of the meetings of the CGPM, the CIPM, and all the Consultative Committees, are published by the BIPM. KLA Corporation (formerly KLA-Tencor Corporation) is a global capital equipment company based in Milpitas, California. It supplies process control and yield management systems for the semiconductor industry and other related nanoelectronics industries. The company's products and services are intended for all phases of wafer, reticle, integrated circuit (IC) and packaging production, from research and development to final volume manufacturing.KLA’s products and services are used by bare wafer, IC, reticle and disk manufacturers around the world. Products and services include inline unpatterned and patterned wafer defect monitoring, review and classification; reticle defect inspection and metrology; packaging and interconnect inspection; critical dimension (CD) metrology; pattern overlay metrology; film thickness, surface topography and composition measurements; measurement of in-chamber process conditions; wafer shape and stress metrology; computational lithography tools; and, overall yield and fab-wide data management and analysis systems. Measurement is the assignment of a number to a characteristic of an object or event, which can be compared with other objects or events. The scope and application of measurement are dependent on the context and discipline. In the natural sciences and engineering, measurements do not apply to nominal properties of objects or events, which is consistent with the guidelines of the International vocabulary of metrology published by the International Bureau of Weights and Measures. However, in other fields such as statistics as well as the social and behavioral sciences, measurements can have multiple levels, which would include nominal, ordinal, interval and ratio scales.Measurement is a cornerstone of trade, science, technology, and quantitative research in many disciplines. Historically, many measurement systems existed for the varied fields of human existence to facilitate comparisons in these fields. Often these were achieved by local agreements between trading partners or collaborators. Since the 18th century, developments progressed towards unifying, widely accepted standards that resulted in the modern International System of Units (SI). This system reduces all physical measurements to a mathematical combination of seven base units. The science of measurement is pursued in the field of metrology. A prototype is an early sample, model, or release of a product built to test a concept or process or to act as a thing to be replicated or learned from. It is a term used in a variety of contexts, including semantics, design, electronics, and software programming. A prototype is generally used to evaluate a new design to enhance precision by system analysts and users. Prototyping serves to provide specifications for a real, working system rather than a theoretical one. In some design workflow models, creating a prototype (a process sometimes called materialization) is the step between the formalization and the evaluation of an idea.The word prototype derives from the Greek πρωτότυπον prototypon, "primitive form", neutral of πρωτότυπος prototypos, "original, primitive", from πρῶτος protos, "first" and τύπος typos, "impression". Quantum metrology is the study of making high-resolution and highly sensitive measurements of physical parameters using quantum theory to describe the physical systems, particularly exploiting quantum entanglement and quantum squeezing. This field promises to develop measurement techniques that give better precision than the same measurement performed in a classical framework. out under the same conditions of measurement. In other words, the measurements are taken by a single person or instrument on the same item, under the same conditions, and in a short period of time. A less-than-perfect test–retest reliability causes test–retest variability. Such variability can be caused by, for example, intra-individual variability and intra-observer variability. A measurement may be said to be repeatable when this variation is smaller than a pre-determined acceptance criterion. Test–retest variability is practically used, for example, in medical monitoring of conditions. In these situations, there is often a predetermined "critical difference", and for differences in monitored values that are smaller than this critical difference, the possibility of pre-test variability as a sole cause of the difference may be considered in addition to, for examples, changes in diseases or treatments. Singapore Standard Time (SST) or Waktu Piawai Singapura (WPS), also known as Singapore Time (SGT), is used in Singapore and is 8 hours ahead of UTC (UTC+08:00). Singapore does not currently observe daylight saving time. The Technische Universität Braunschweig (unofficially University of Braunschweig – Institute of Technology), commonly referred to as TU Braunschweig, is the oldest Technische Universität (comparable to an institute of technology in the American system) in Germany. It was founded in 1745 as Collegium Carolinum and is a member of TU9, an incorporated society of the most renowned and largest German institutes of technology. It is commonly ranked among the top universities for engineering in Germany. TU Braunschweig’s research profile is very interdisciplinary, but with a focus on aeronautics, vehicle engineering including autonomous driving and electric mobility, manufacturing, life sciences, and metrology. Research is conducted in close collaboration with external organizations such as the German Aerospace Center, Helmholtz Centre for Infection Research, several Fraunhofer Institutes, and Germany's national metrology institute (PTB), among many others. As one of very few research institutions of its type in the world, the university has its own research airport.